Today's customer service reps need more knowledge than ever before. However, finding effective ways to train them--especially with their busy schedules--can be challenging. 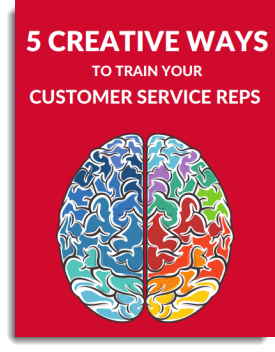 Here are 5 creative ways to train your customer service reps on everything from new technology to company policy. Fill out the form today to instantly get your report! Are you prepared to take on 2018's top customer service challenges? The Contact Center & Customer Service Summit, taking place April 23-24 in Boston, is here to help. And, great news--your registration is complimentary! Don't miss your opportunity to join the nation's top professionals for 2 days of networking, learning, and sourcing solutions for your company. Your VIP invite includes executive hotel accommodations, meals and refreshments, and event workshops. Mention CRMXChange when registering and receive complimentary hotel accommodations for both Sunday and Monday nights.